Mayhem came into this world as a little bundle of joy and light. Always busy, never still and constantly hungry! 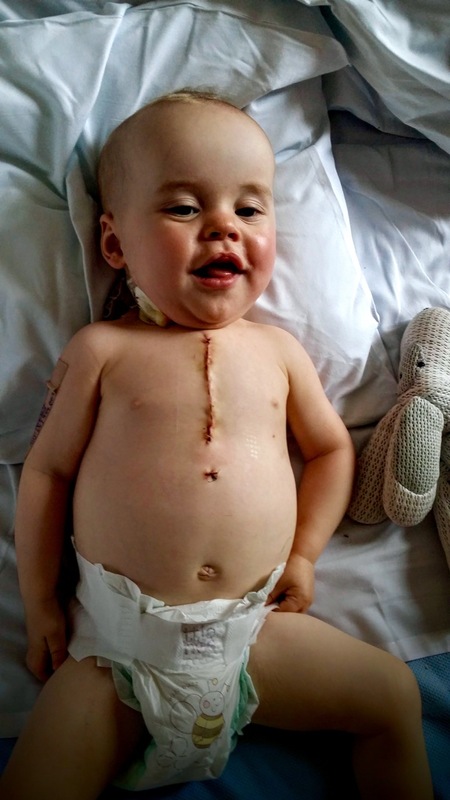 What we didn’t know was that whilst we were feeding and nurturing our gorgeous boy, his little body was feeding and growing an ‘evil twin’, a ‘monstrous tumour’, a very large benign Teratoma. To see our child ill and get progressively weaker, struggle to breath and slowly but surely drop down one percentile after the other without knowing why, was heartbreaking and frustrating. We saw countless ‘professionals’ and fought non-stop to try and find out what was wrong with him. We didn’t know why he kept getting ill. Why was he struggling so? Instincts told us that something was wrong and that he needed fixing. If you are a parent and know there is something wrong with your child, please push and push and push until the Doctors or powers that be investigate more and find out what is wrong. You are responsible for you child, you know if there’s something wrong, it’s up to you to make sure that your child is fixed. A tumour is probably the last thing that doctors think about or look for. It certainly came as a shock to us that our baby was being consumed by such a massive, invasive tumour. 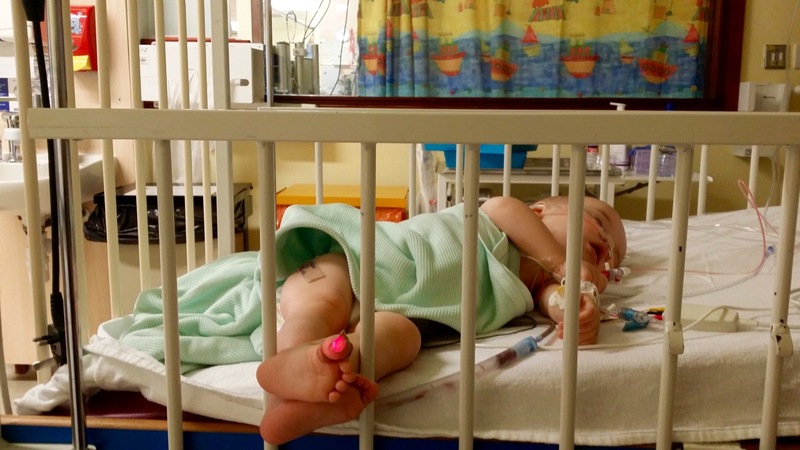 It was a long journey for us, Mayhem was having repeat bouts of croup or bronchiolitis or breathing problems, he was admitted to A&E over 10 times. We were under a paediatrician for reflux (or so we thought) and again saw him countless times. We were also under a feeding clinic because Mayhem kept dropping percentiles. He ate all the time and constantly breastfed but he still kept loosing weight. There were massive red flags everywhere but non of the doctors we saw investigated further and just took the initial diagnosis as bronchiolitis and left it at that. As parents we knew something was wrong, a mother’s instinct is always right..right! What we should have done earlier thought was insist on getting bloods, x-rays an ecg and an echo. Things only changed for us when we met the one doctor who agreed…We explained why we had been rushed to A&E again for the umpteenth time, that our son kept getting breathing problems, but said that it just wasn’t right, it couldn’t be bronchiolitis again, that we knew something was wrong and we needed it investigating further. Luckily this doctor, our wonderful doctor, agreed, and was the first doctor to actually order a barrage of tests, examine Mayhem’s abdomen and realise that he was indeed seriously ill. We were finally referred to a specialist Children’s Hospital. We went to Alder Hey, they really knew their stuff and having so many experts under one roof made us feel so much more relaxed and confident about the quality of care our son was receiving. When Alder Hey finally found the tumour it was a relief. He had struggled to feed and had been dropping percentiles for at least six months of his short 10 month life. We finally had a reason. It wasn’t the fact that my milk wasn’t good enough. It wasn’t the fact that we were bad parents and weren’t feeding him enough. It wasn’t our fault at all, although I still managed to wonder why he had it in the first place and if it could be my fault, but no. It was just a random group of crazy cells, germ cells, hanging out together and making this rapidly growing tumour that was slowly consuming our baby boy…We were shell shocked but most of all relieved, could they now fix him…? After the initial CT Scan, then the tumour biopsy, it was a long, drawn out process and took almost three weeks, before they finally figured out what type of tumour it was. We waited, frustrated but confident that we were in there right place. Even after the biopsy the histology was wrong, the doctors thought the tumour was a Thymoma, but what really happened is that the tumour was made up of lots of different cells from lots of different places. The cells that were sampled during the biopsy were thymic cells within an entirely different type of tumour. After Surgery to remove the tumour, Mayhem recovered in ICU and the pathology finally came back to confirm that the tumour was a benign Teratoma. 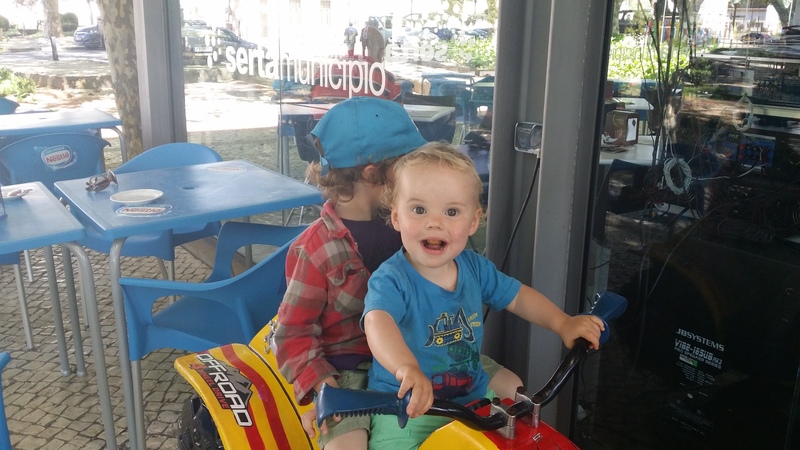 After a short recovery period, we were finally allowed out of hospital…Freedom! As parents of Mayhem and his older brother, Chaos, this truly was the most challenging experience of our lives. Our little boy was seriously ill and could have died, luckily we found the tumour in time and they could surgically remove it, all of it. Mayhem, as he does, took it all in his stride and has bounced back bigger and brighter. There’s no explanation why Mayhem had a tumour, when it began, where it came from. Like cancer, it’s just a group of cells gone crazy. This monstrous tumour has turned our world topsy turvy so as a result we’ve done something different too and escaped the rat race. After seeing Mayhem go through so much, being so fearful of losing him and living on the edge…we knew that life would never be the same again. The whole experience turned our world topsy turvy, it completely changed our family and our outlook. 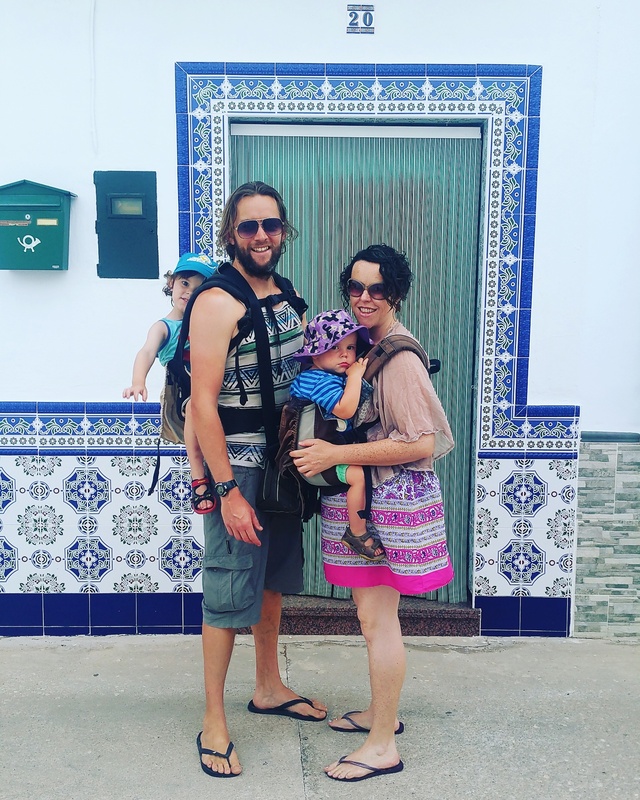 As a result we decided to drastically change our lives, we quit our jobs, put our stuff in storage and decided to blow our savings, escape the rat race and spend as much time as possible together travelling with our little tribe before the boys leave us and spend most of their days at school. After all, what are savings for, what is anything for if you don’t have family. Mayhem is a fighter and is happiest when he is naked and outside. He loves animals, kisses and smiling his infectious smile. Both him and his brother Chaos are our most amazing and precious gifts. Due to the health problems he has experienced we hold him a little tighter and try to protect him from pain and life’s hard bits, hoping that he doesn’t have to go through any more health bombshells in his life. He is adventurous and fearless, a rough and tumble boy, a happy, content little soul. It has been over a year now since Mayhem had surgery. We have been for regular check ups where they take bloods, x-rays and another CT scan and he keeps getting the all clear. We just hope, beyond hope that our little bundle never needs invasive surgery again and that the monstrous tumour has gone from our lives forever.Read all about his health journey in this menu here, from starting to get ill, all about his tumour and his recent challenges and the ongoing barrage of tests he has had since.